While our Southern neighbor has set to receive the new Nokia Lumia 920 and 820 this coming weekend, things are still really quiet from Nokia Malaysia’s side. Save for a media session that we will be attending sometime this week, no official pricing and release date has been announced so far. However, Asri of Nokiaku.my – citing an anonymous source – has revealed that the new Windows Phone 8 devices from Nokia will be priced at RM 1,999 and RM 1,599 respectively in Malaysia. That is around RM 242 and RM 144 difference as compared to their official price in Singapore. As for the actual launch date, Asri have mentioned that mid-December 2012 and early 2013 as the possible timeline for the release of Lumia 920 and 820 in Malaysia. In addition to that, Asri has also tweeted that the public launch will take place at Pavilion Kuala Lumpur – the same venue as last year’s Lumia 800 and 710 launch event. Of course, all these information will only be official after they being confirmed by Nokia themselves; so, let’s see what they will have to say at their media session later this week. 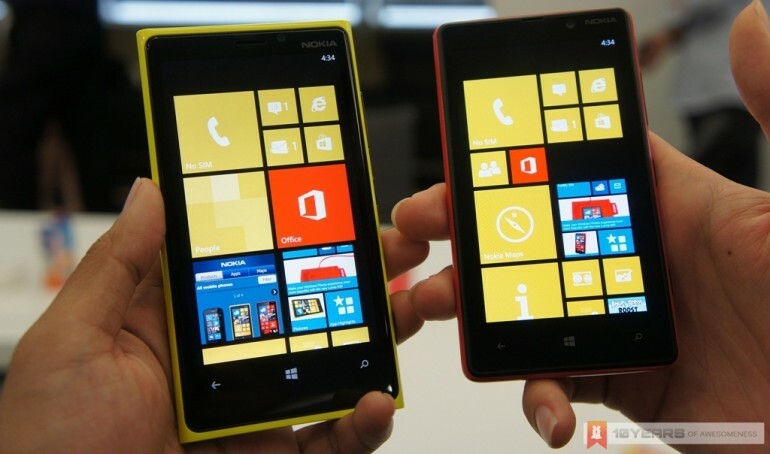 For the meanwhile, check out our little hand-on preview with the new Nokia Lumia 920 and 820.